What does it mean to consumers when you've got "natural" in your product name? Can the product still include trace amounts of chemicals? 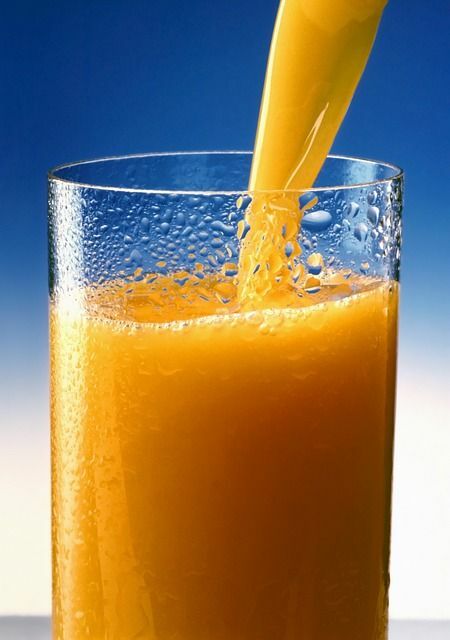 In Axon v. Citrus World and Florida's Natural Growers, the plaintiffs brought a putative class action alleging that the use of the word "natural" in the name of defendants' "Florida's Natural" orange juice products was misleading because the products contain trace amounts of a synthetic weed killer. The defendants moved to dismiss on various grounds and the United States District Court for the Eastern District of New York granted the motion. Here's why. The plaintiffs alleged that Florida's Natural orange juice products contain glyphosate, which is an synthetic herbicide used to kill weeds. According to the plaintiffs, the herbicide is not "natural" because it is created by artificially replacing one of the hydrogen atoms in the amino acid glycine with a phosphonomethyl group. The plaintiffs argued that reasonable consumers would not expect that juice marketed as "natural" would contain this type of chemical. In evaluating whether the name is misleading under New York law, the court asked whether the name was "likely to mislead a reasonable consumer acting reasonably under the circumstances." The court also noted that it wasn't enough that a few consumers might be misled. The court wrote that, "Plaintiffs must plausibly allege that a significant portion of the general consuming public or of targeted consumers, acting reasonably in the circumstances, could be misled." The court held that a reasonable consumer would not believe that “Florida’s Natural” means that the product does not include trace amounts of synthetic herbicides. The court wrote, "Given the widespread use of herbicides, the court finds it implausible that a reasonable consumer would believe that a product labeled ‘Florida’s Natural’ could not contain a trace amount of glyphosate that is far below the amount deemed tolerable by the FDA." The court distinguished this case from other "natural" cases where artificial ingredients were added to a product. Here, the court said that the chemical is not an "ingredient." Rather, it is simply "a substance introduced through the growing process." If you'd read the post from a few days ago about Sanderson Farms "100% natural" chicken, you might have expected this case to come out differently. Here, the court does try to distinguish this case from the many other cases out there that seem to go the other way. Are there any useful takeaways from this case? Most obviously, in the absence of strong, clear guidance about what "natural" really means, it's simply that there is a lot of risk when making "natural" claims. These claims are a very frequent source of litigation. This case is also an important reminder that product names themselves can be product claims. It's important to consider, then, what your product name communicates to consumers about the product. This case may also signal some willingness of courts to consider whether trace amounts of an ingredient are really material to a consumer's purchasing decision. (The FTC has weighed in on this issue a bit too.) Only time will tell whether this view will win the day. In the meantime, however, advertisers should be very cautious about making "natural" claims if they can't substantiate that the product contains only natural ingredients.